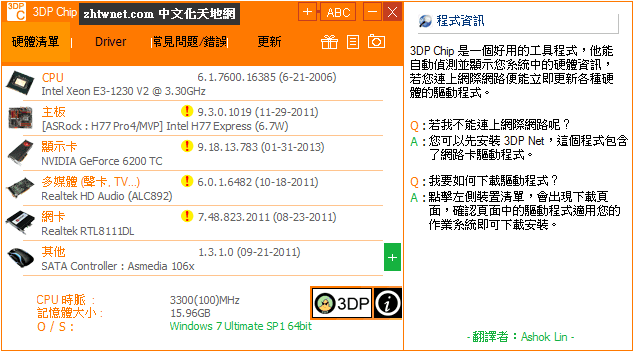 3DP Chip enables you to enumerate devices and download the latest device drivers with few simple clicks. Problems with detecting your devices, finding device drivers to setup your system is worse than Blue screen of death. Everest and Aida32 doesn’t provies you a device drivers and they are still heavy. Download the latest driver versions for the hardware devices your computer is equipped with, so as to keep them running at top performance.